Below is a gallery of the work for sale from the Shame to Pride exhibition. Prices are marked on each image. Drifting, Daydreaming, triptych, hand-dyed paper, wood, paint, silicon, approx 40x72", 2015, Price: $2000/each panel, $5250/triptych. Unintentionally Aggressive, metal cap nails, adhesive, wood, paint, 28x28", 2015, Price: $700. 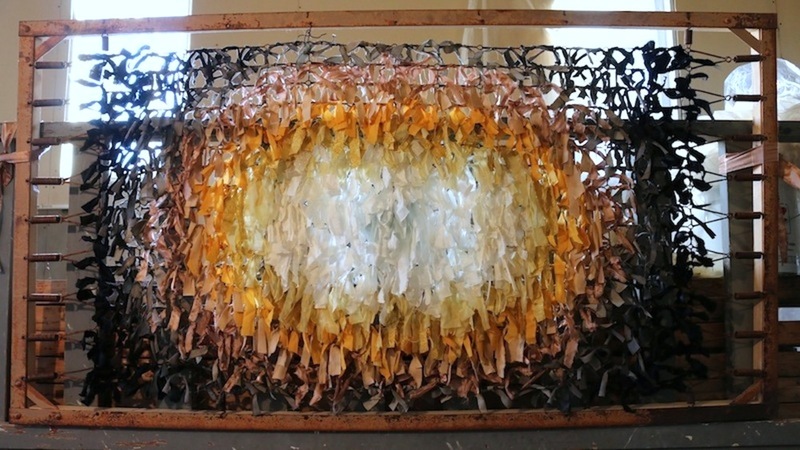 Clarity is a State of Mind, window, broken glass, resin, 20x45", 2015, Price: $1000. Making Space, Filling it Up, window, empty pills, resin, 14.75x45", 2015, Price: $900. May 16th, mixed media on canvas, 36x60", 2014, Price: $1000. Alchemy, Runes of Ruins, paint, reclaimed wood, 70x65", 2015, Price: $1000. 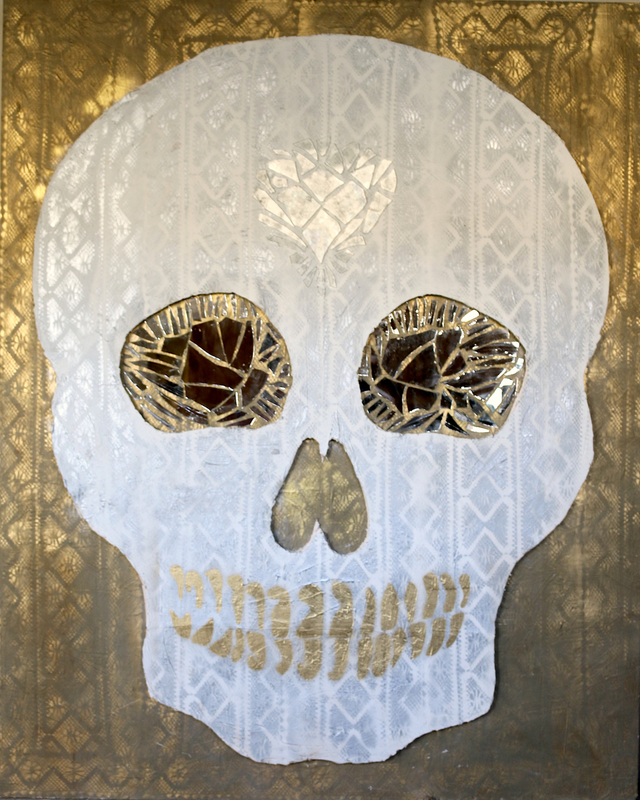 Set My Third Eye on It, wood, paint, dry wall, mirror, glass, 48x60", 2015, Price: $2300. Third Life, reclaimed wood, paint, 48x60", 2014, Price: $3000.